I just got back from CamelOne which was earlier this week in the beautiful city of Boston, MA. It was quite the experience; definitely one of the best technical conferences I've been to in a while. I did not experience any dull moments while there starting with my arrival on Monday evening. The Apache folks hosted a free meet-and-greet for anyone to come by and talk with some of the committers and share stories among themselves. I got to hangout and meet Claus Ibsen and Jon Anstey of Camel in Action fame, Rob Davies and Dejan Bosanac of ActiveMQ in Action fame, and completely badass software developers Hiram Chirino, and James Strachan. Great way to start the conference. Three presentations stuck out for me. James Strachan's presentation of the FuseIDE was really cool. FuseIDE is a set of eclipse plugins that makes developing camel routes an easy drag and drop exercise, allows you to manage your container/ESB deployments, and allows you runtime introspection of your camel routes while deployed in a container. Really cool stuff. Definitely check out the video once it is published on the CamelOne website, or check out the current webinars on FuseIDE or the demo videos in the download section of the FuseSource website. The second one that stood out was Hiram Chirino's presentation of next generation messaging with Apache Apollo. Apollo is currently a subproject of ActiveMQ that aims to deliver a very fast and reliable message broker built from the ground up on a highly concurrent dispatching model. Hiram has done some benchmarking with Apollo vs ActiveMQ, vs HornetQ, and RabbitMQ. The results show Apollo performing really really good against the other projects, in some cases even blowing them out of the water. See some of the results on his website. 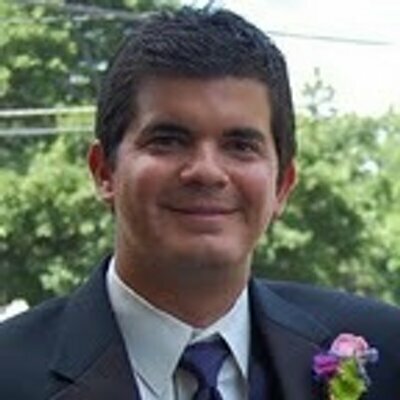 The last presentation that stood out for me was given by Charles Moulliard on using a new HTML 5 technology, WebSockets. WebSockets is a standard HTML 5 technology that allows full-duplex communication between the browser and the server, thus allowing the server to "push" data to the browser. His demo showed how you can build web applications and use WebSocket technology as the transport between a basic web app client (HTML, CSS, JS) and a server-side implementation with Camel and ActiveMQ to push messages from the broker to the client in real-time. Think of a chat application or stock-quote feed that pushes real-time data to the browser window (whether browser, ipad, iphone, etc) in a standard way without having to poll the server. This technology will be very useful to anyone doing messaging with html-based clients. All in all I am very grateful I was able to attend. The conference actually sold out and had significantly more attendees than last year. Looking forward to the following year of exciting work and contributing to Apache as well as the next CamelOne event! Recap from CamelOne 2012 was published on May 19, 2012 . © 2019 Christian Posta. Powered by Jekyll using the Minimal Mistakes theme.